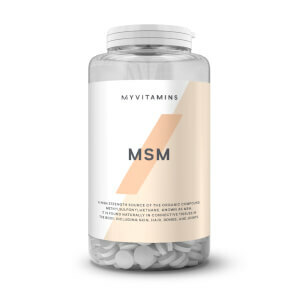 What Are myvitamins M-G-C Tablets? 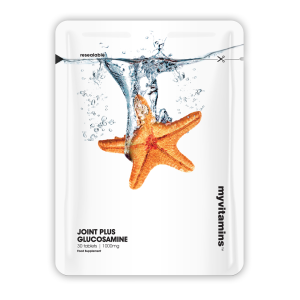 myvitamins M-G-C is an expertly developed blend of three of the most fundamental compounds found in joints. These three components are MSM, glucosamine, and chondroitin, which are popular features in joint and bone supplements. It also contains popular botanicals, olive leaf extract and curcumin, as well as the supplement, hyaluronic acid. 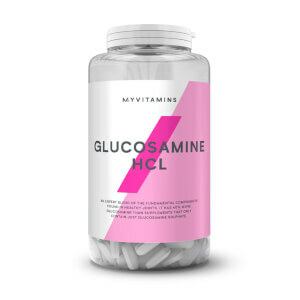 Why Use MSM, Glucosamine, & Chondroitin? We know that our joints receive a lot of wear and tear throughout our lives. So matter how old we are, they can be troublesome. Taking care of them is important, especially as we age. With a unique formulation, our M-G-C tablets have been developed to mirror the body’s naturally-present compounds to keep you feeling healthy and being active. What Works Well With M-G-C? 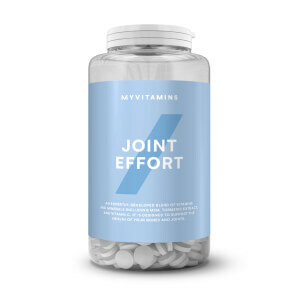 MSM, glucosamine, and chondroitin are three of the most fundamental compounds found in our joints. Try adding collagen to your supplement intake, which is the another popular ingredient found in joint health supplements. For maximum support from our M-G-C tablets, take one tablet three times a day. 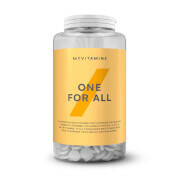 Bulking Agents (Di Calcium Phosphate, Microcrystalline Cellulose), Glucosamine Hydrochloride (Crustaceans), Rosehip Powder, Chondroitin Sulphate*, Methyl Sulphonyl Methane, Celadrin Powder, Olive Leaf Extract, Curcumin, Hyaluronic Acid, Anti Caking Agents (Magnesium Stearate). * Porcine sourced Chondroitin. I just feel so much better taking these along with joint effort and the pain in my joints has reduced considerably much more effective/ healthy than anti inflammatories and pain killers. 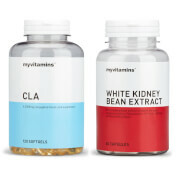 Only just started taking these from My Vitamins. Was taking Asda’s version before. These are a stronger version and very reasonably priced. I’m sure I’ll notice a difference soon. My daughter has been using myvitamins products for her hair, skin and nails for a while and recommended MSM, Glucosamine & Chondroitin to me for my arthritis. I was really impressed with the range of products available and the prices seem very reasonable. I'm a keen baker so I'll be trying out your superfoods too. I managed to rupture my Anterior Cruciate Ligament playing rugby 2 years ago and used to have quite a lot a of trouble with pain when exercising. I have now been taking myvitamins MSM, Glucosamine & Chondroitin for over 6 months and although I didn't notice an immediate difference I now no longer suffer from knee pain which is a massive result. I can now enjoy long bike rides and runs without any bad side effects. Would definitively recommend to any one who has trouble with their joints and is looking for a solution.